Capt. Doug Webster, the British Royal Artillery 148th Battery, 29th Commando Fire Support Team commander and operations officer and a native of Hampshire, Eng., leads his commandos off a Ch-53 Sea Stallion during Operation Burmese Chase, on Marine Corps Air Station Yumaâs Chocolate Mountain Aerial Gunnery Range, June 20. 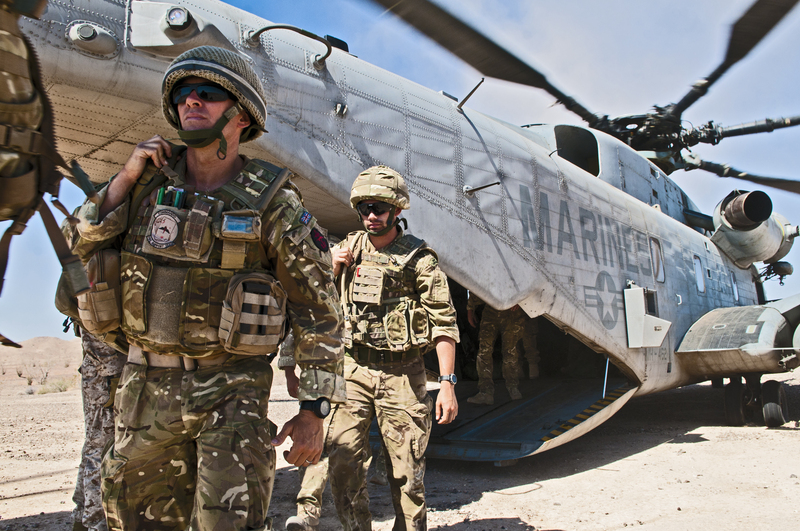 The commandos and the Marines of 1st Air Naval Gunfire Liaison Company, Supporting Arms Liaison Team Charlie then proceeded to practice calling in casualty evacuations with the sea stallions.